If you’re not with the People, you’re with the corporations. we deserve a Congress who is not afraid to protect our climate and all the people." We certainly deserve it, the American people have been sold out by Congress for far too long. Congress is afraid to protect our climate and all the people because most in Congress are corrupt, where their priority is not a Green New Deal but what it has always been: A GREENBACK DEAL! “Radically transform” the energy system baffles me. Cars are the source of CO2 pollution exactly as the same level as we take in the air we breath. Are we getting rid of cars? We already do solar, so where is the tax rebate for solar roof installation. What about the gas hi eff furnaces that somehow are taking in and exhausting air at ground level, another problem for us air breathing humans. What about walking downtowns? Minneapolis and Duluth with their air walkways are examples of ‘walking downtowns.’ More of these? Instead were are going to have the cars pay an extra ‘tax’ for driving downtown. No clean air there. Close coal burning plants? That generate the electricity for the electric car? Tell me how this is going to work and not be some pie-in-the-sky idea. If congress turns their collective backs on our planet which is also THEIR home then that should be cause for treason and a public hanging! Cars are the source of CO2 pollution exactly as the same level as (sic) we take in the air we breath. Cars emit CO2 at a rate of 5000 parts per million, while ambient air is in the 350-400 range, so this statement is simply not true. Are we getting rid of cars? No, but we’ll be getting rid of internal combustion vehicles and replacing them with electric vehicles. It’s either them or us. We already do solar, so where is the tax rebate for solar roof installation. In the current tax law. Instead were are going to have the cars pay an extra ‘tax’ for driving downtown. This is already the case in some locations – e.g. London. Close coal burning plants? That generate the electricity for the electric car? Coal-fired electric generation is on the decline and will be phased out sooner or later. It is already more expensive to operate a coal plant than it is to build and operate renewable resources. With the cost of storage dropping rapidly it won’t be long before renewables with storage with be cheaper to build and operate than to just operate existing coal plants. Tell me how this is going to work and not be some pie-in-the-sky idea. That’s no pie-in-the-sky, that’s economic reality. Kathleen_Sisco: You are right to be concerned - it will take a comprehensive look at how we generate and use energy. And what the actual costs of alternatives are, independent of subsidies and rebates. Electricity itself is not a source of energy, merely a conveyor of it - with losses along the way. My concern is the split between those who think intermittent sources like wind and solar can do the “green” transformation without nuclear energy and those who support a nuclear component. I think more should be done here in the US to realize safe thorium reactors, which had been proven with a working unit at Oak Ridge in the 1970s until the effort was axed by Nixon. The thorium cycle does not have the safety, waste, and proliferation issues associated with the uranium cycle. Now it looks like China has a head start on thorium reactor utilization as part of their own “green revolution”; a shame, because it was our Dr. Alvin Weinberg that pioneered it. Renewables, combined with improved batteries and technologies like smart metering are required to make a smart electrical grid be functional and sustainable and make electric cars a truly green alternative. Yes, the two base load sources of power, fossil fuels and nuclear are not disappearing any time soon. With the cost of storage dropping rapidly it won’t be long before renewables with storage with be cheaper to build and operate than to just operate existing coal plants. That is at least one big fly in the ointment. Storage and retrieval of electrical power will always involve losses in both directions according to the laws of thermodynamics. No one has come up with a safe and reasonably efficient concept of storing the huge amount of energy required in those times the sun doesn’t shine or the wind doesn’t blow. Considering that both solar and wind are location-dependent, one can expect that half the electricity used will have to come through the generation-storage-use cycle. we’ll be getting rid of internal combustion vehicles and replacing them with electric vehicles. It’s either them or us. I like electric cars, but I would rather see fewer cars altogether and the revival of electric mass transit approaches, abandoned due to pressure from Detroit after WW2 - that could happen faster and with less effort and expense than setting up charging facilities all over the country. The electrical load will be enormous, considering the traffic in the US - better to use the electricity more efficiently with mass transit than so completely dependent on automobiles as we do here. It also will be difficult to agree on a protocol for electrical standards. Electric cars already are experiencing incompatibilities and regionalisms. Henry Ford: “You can’t build a reputation on what you are going to do.” Especially when what you are going to do depends on technology which is not yet fully developed to do it. Beware wolves in sheep’s clothing. I’m not buying what Kobachar or Harris are selling. I don’t trust Elizabeth, Bernie or O’Rourke. Biden is more OLD GUARD just like Pelosi, Schumer, Hoyer, Claiburne, ad nauseum. These are the old Dem Wall Street, eternal war, no medicare, no green deal parasitic stooges and they are the ROOTS of our PARTY and they ALL HAVE TO GO. They have all had time to tell the truth but they take the bribes and follow the rules. We HAVE to smash the rules over their war profits. The Trump Administration is an illegal, criminal, machine. They are pillaging our nation, gutting the courts and stealing the silver ware. Trump has removed us from every international alliance and murdered every program, every regulation created. Trump stole more than 30 percent of all corporate federal revenue but has no money for a wall. Put cardboard boxes on the Republicans heads so they can be surrounded by walls, hide in the dark and arm themselves because they’re petrified, mass murdering, oil thieves. Rome burns in the background. Rise UP. It is all about the money. To win, we have to make them understand they’re losing money. This fight has been on forever. Fight on because global warming is about to eat us. Ecosystems are collapsing while Republican steal. peace. ps. We had electric cars in 1914. NO PUBLIC TAX DOLLARS DISPENSED TO "FRONTLINE COMMUNITIES " based solely upon SKIN COLOR as Alexandria Cortez has already publicly demanded. THERE ARE TOO MANY POOR WHITES WHO NEED HELP TOO! As if frontline communities didn’t include the residents of Love Canal! I can’t believe she has called for the jobs created by this New New Deal to go specifically to people of color. Race baiting BULLSH-T.
We could push an advertising campaign that made the GND a personal and a national commitment. Plant gardens and trees, and promote green in and around your neighborhood. People like personal responsibilities like recycling, being frugal, helping neighbors and such. Talk of it as some sort of obscure project and people ignore the effort. I watched Chris Hughes today on CNBC----they were really attacking him as he talked about income inequality----but an interesting number he brought up-----the wealthy pay about 3 % of their wealth in taxes vs people on the lower end pay about 7 %. 30 years ago it was time to be bold and unapologetic, now its time to get the f— out of the way or else. The Arctic is melting down. Now is the time to be timid about this little detail while we can still fix it. all those filthy “business channels” need to be put to the torch. When I see a “labor” channel, I might relent. But we all know well never see one in this political economy. Add Cannabis agriculture tothe New Green Deal and you have something that works. Otherwise, in the absence of hemp for fuel, protein, and multiple global environmental services, there is no foundational resource base that supports the lofty ideals. If you are resistant to “hemp” for any reason, get over it. The fact is, Cannabis is mankind’s functional interface with the Natural Order. Until people understand why that’s true, the chances of avoiding global systemic collapse are getting slimmer with each passing day. 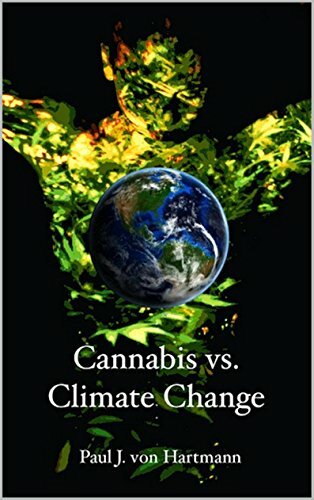 explains why Cannabis has never been truly “illegal” because it is too valuable, and in fact, essential to mankind’s sustainable existence on this planet. The amount of time it takes for people to come to that realization will determine whether or not our species will have a chance for survival on the Earth beyond the 21st century. If that Forbes article is right the we don’t really need to have any legislation. Once the cost really drops as predicted then all energy companies are gonna drop fossil fuels like a hot potato and switch to cheaper renewables for higher profits. That is BS. She is not demanding anything based on color. Poor doesn’t recognise color. There just seems to be more color in the poorest communities. I’m sorry if you are stuck on the other color syndrome but it is the class stigma of capitalism that we must overcome and that is what she is representing. Please pay attention.